Where can I find free images to use on my web site and social media without any licensing worries? I need some royalty free stock photos! It’s a question I get asked pretty frequently – especially since many of my own posts have some great images tied to them. You could pay for them. And sometimes I do. But a lot of the time things like simple blog posts or social media shares aren’t made with any sort of major return on investment in mind, and therefore can’t have extra budget allotted for creative. So what do you do? Take photos of your own? Leave your posts barren fields of text? While I do recommend taking and using your own photos when you can (I do it about 20% of the time), there are other solutions – and those are free-to-use, royalty-free images. Basically they are photos that you are allowed to use on your site or social media, free of charge. Each often has their own terms (like requiring credit, or restricting resale of the images) so be sure to check those out before you go crazy. But they’re a great solution. 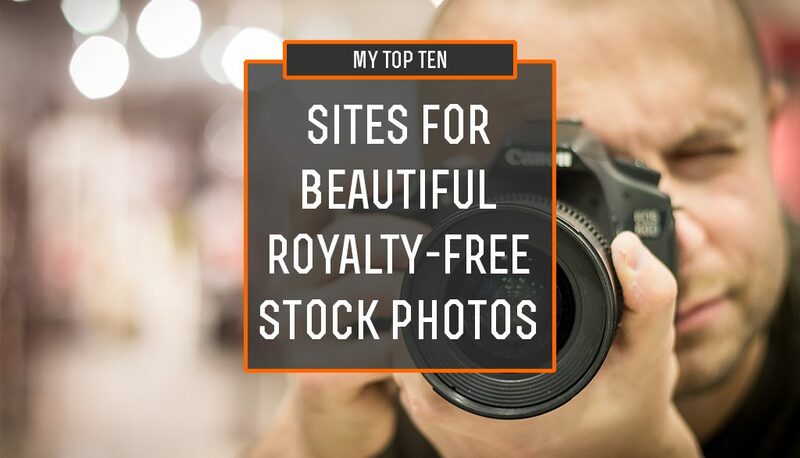 And so, here are the top 10 royalty-free photo sites I turn to when I need to procure an image (but just don’t have the budget for something like Getty Images or Adobe Stock). 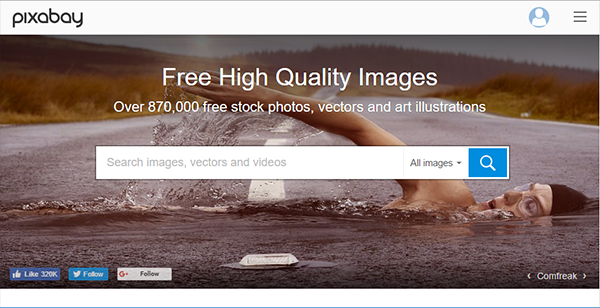 Pixabay has pretty much become the standard go-to site for quality royalty-free images, and that’s with good reason: they have a tremendously big catalog and almost everything is really really good. But the only problem is that since so many people go there and use their images, you’re going to run into a lot of images you’ve seen elsewhere. Not a huge deal if you’re looking for a quick photo to get across a mood or theme, but if you’re looking for something with more unique branding appeal you might want to look elsewhere. Still, it’s generally the first place I go – and if nothing else I at least keep a few images up there while I check the other sites for something more unique. 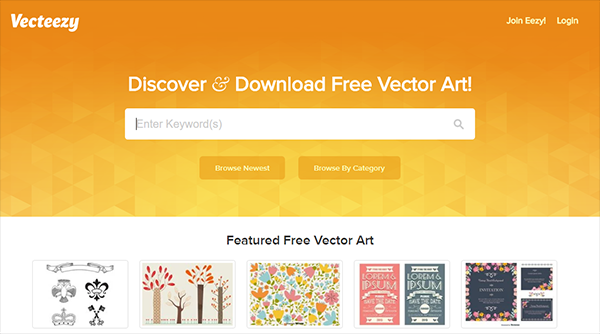 While not as big of a catalog as Pixabay, Freeimages does still offer a pretty huge selection of free photos. One nice thing that they offer though is the ability to more easily browse by categories or tags, making discoverability sometimes a bit simpler than it can be elsewhere – especially if you’re not quite sure what it is you’re looking for. Like the previous two sites, Pixabay and Freeimages, PicJumbo has a pretty awesome library of images. Just about all of them are gorgeous and you can find everything from animals to nature to cityscapes to technology with hardly any work. The only problem is that as PicJumbo works to figure out their monetization strategy they’re adding in “premium membership” photos to the catalog – meaning there are some photos you can only get if you pay for them. Definitely not a big deal, but go into it knowing that there is a possibility you’ll see something you love and end up having to fork over some cash for it. Unlike the ones covered so far, Unsplash has a markedly smaller catalog of images – but most of them you won’t find anywhere else. So if you’re looking for something that’s not already all over the Internet, this is a great place to start. The only problem is their site really isn’t very easy to navigate and their search could use some work. If you’re willing to put in the extra effort though, chances are you’ll find some great free stock photos here that will set you apart from the crowd. Plus, their policy lets you do pretty much whatever the hell you want with the photos, which is nice. One of the coolest things about Gratisography is that all their free stock photos are photographed by the same photographer, the super-talented Ryan McGuire. This means two things: 1.) They’re all of the same high quality and artistic style, and 2.) There’s a lot less to choose from than the other huge stock photo sites. Still, these pictures are gorgeous and if you’re looking for something with just plain WOW, this is the place to go. Just keep in mind if you have a specific subject in mind, you may not find an exact match here. “Vintage photos from the public archives. Free of known copyright restrictions. 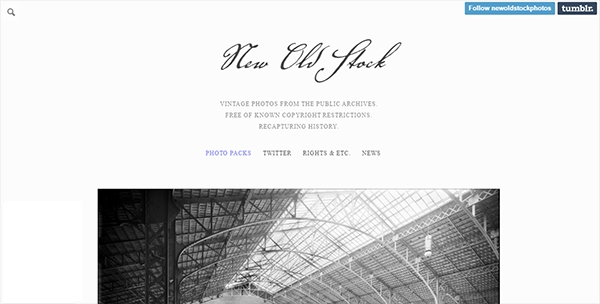 Recapturing history.” That’s how New Old Stock describes its catalog of free stock images, and it’s a pretty good description. Basically if you’re looking for something that adds a bit of history or nostalgia, without relying on faux nostalgia and heavy filter effects, this is the place for you. Two things to to note though: 1.) Their search really isn’t very good at all. You’re better off setting aside some time browsing and bookmarking the photos you like so you can use them later, and 2.) there are some slight risks in their license / rights policy – which you should read here. This is the one I have the most fun with, though I do have to admit I often come up empty-handed. Unlike most other free stock photo sites, Morguefile is much more a community generated content site than a photography service. The archive was founded in 1996 (forever ago in Internet years) and everything here has been submitted by members of the community. The photos come from around the world, and range in quality from amateur to professional. This means you’ll find some truly remarkable treasures here … but you also have to weed through some truly remarkable garbage too. But that’s part of the fun – finding that diamond in the rough. From time to time you’re going to have instances where you need artwork, but you don’t really want a photo. You’d like something more animated, flat or hand-drawn … and that’s where Vecteezy comes in. Not simply illustrations, but actual vector art (meaning you can resize it all you want and you won’t lose any quality), Vecteezy is the place I go when I’m working on projects that require a different approach than photography – often times on for printed material or more “modern” interface designs. Do note that each of the files does have its own set of license terms, so take a look at those before you go too crazy. Most just require some sort of attribution though – so if you’re good with that, you’re probably golden. When I’m looking for something that I’m having a hard time finding elsewhere, or I want to grab an image that feels a bit more “raw” than some of polished ones the “professional” sites offer, I go to Flickr. While the site has gotten less popular over the years, especially as mainstream photo sharing and backups have gone to Google, Facebook and Instagram, there’s still a ton of amazing content here. But you can’t use everything on Flickr. Most of the images here are covered by the copyright of their owner, but many are available for use through a Creative Commons license. 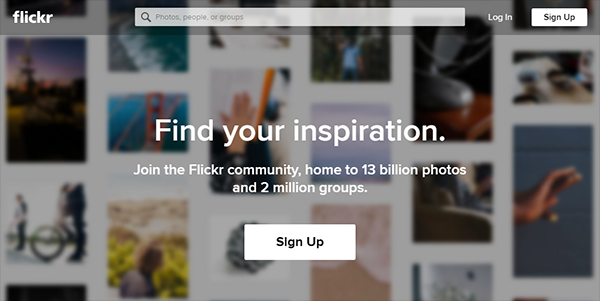 It’s a little hard to just see the ones that are free via Creative Commons though – so the best way I’ve found is to go to the Flickr home page and just hit the search button (leaving the form empty). From there, choose the “Any License” drop-down and select the Creative Commons license filters that match your needs. Then go about your search. Okay, okay … so it’s not a website. 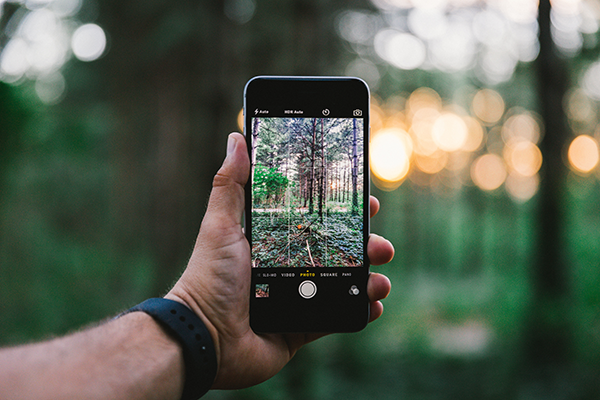 But really, the best source for original photos is already in your pocket. These days your phone can take some pretty fantastic pictures. And if you’re not good at taking photos? Play around with angles, filters and levels and you’ll soon get the hang of it. It takes more work ,to be sure – but you’ll also end up with something that’s wholly unique and wholly your own. Need some tips on taking better phone pictures? Here’s a good resource. The best way to make your content pop with personality is to add in images. But grabbing any old photo off the Internet is only going to get you in trouble. The sites above should keep you pretty safe from any sort of royalty payment issues, and you’ll end up with some beautiful content when you’re finished. Just be sure to follow the rules … and even if they don’t require it, throwing in some attribution once in a while is always appreciated. If you don’t find what you’re looking for on any of the sites above, don’t fret. 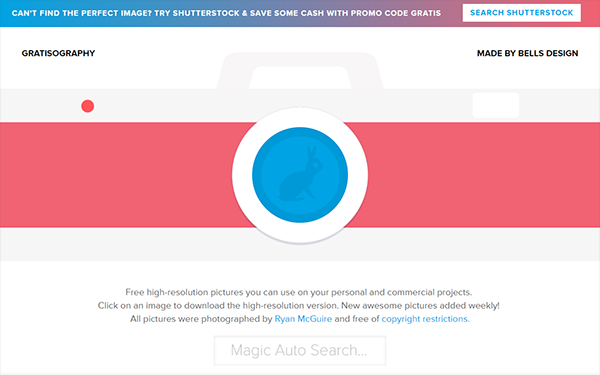 There are plenty of other free image sites out there … but as far as I’m concerned these are the best of the best. It is always possible there’s something amazing out there I haven’t come across yet … and if that’s the case, definitely let me know. If there’s a free stock photo site I didn’t mention but that you just love, please share it below in the comments. Nice list. Try also http://monisphoto.com/ free photos available for personal or commercial use.